3039 Beaumont Rd Louisville Ky 40205 is an amazing house in the Beaumont neighborhood of Louisville Ky. The directions to this property are to drive down Taylorsville road then turn onto Beaumont Rd. The home sits on the corner of Beaumont and Riddle Rd. This charming three bedroom one bath home has been completely updated. 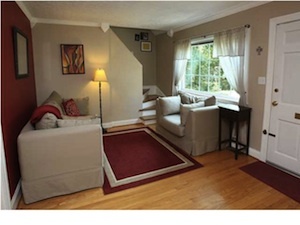 The red walls and hardwood flooring in the Living Room lends comfort to the open design. The living room is open to the dining room. The dining room has a beautiful view and rich colors. The door in the dining room opens up to a deck in the backyard. The Kitchen is fully updated. There are two bedrooms on the first floor with the Master upstairs. The Master Bedroom is well appointed and makes great use of the space upstairs. The Master includes a decorative fireplace. The Bedrooms on the first floor are spacious. The entire home has been updated. The deck going off the back of the house offers a great view of the backyard. The backyard is huge and contains a full fence. There is a one car detached garage that is part of the property. 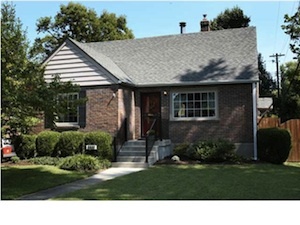 The home is brick an offers a low maintenance exterior. 306 Crescent Ct Louisville Ky 40206 is in the incredible Crescent Hill Neighborhood. 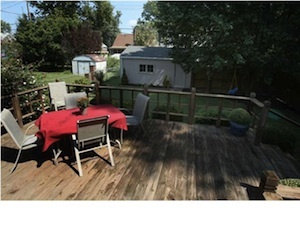 Just down the sreet from Frankfort Avenue and all of it's restaurants and shoppes, this home is in the perfect place. 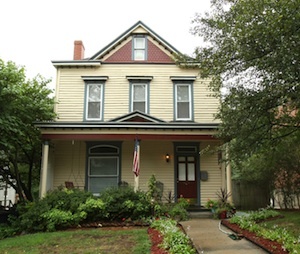 The home was built in 1900. The hardwood floors are original. The renovation maintains the high ceilings and deep baseboards, keeping the original feel of the house. A huge front porch encompassed the entire front of the house. The huge foyer opens up to the Living Room. The Living Room has pocket doors, a working wood burning fireplace. The fireplace has tile surround and nice mantle. One of the windows next to the fireplace has a beautiful stained glass pane. There is a decorative fireplace in the dining room. The dining room has chair rail pretty of trim and loads of windows. The big Kitchen features stainless appliances, access to the laundry room and the back yard. There is a half bath on the first floor. The second floor has three bedrooms and a nice full bath. The Master Bedroom has a decorative fireplace. There is a entrance to another bedroom from the Master as well. There is a free standing tub and shower in the large bathroom. A staircase leads up to the unfinished attic. There is potential to finish the attic to create even more square footage. The backyard is huge. It's very deep and flat. The yard is fully fenced. 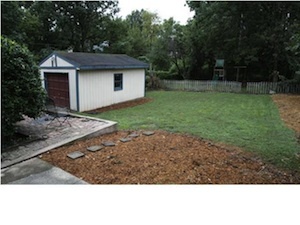 A dog run and playground runs the length of the back of the yard. This home is fantastic. For more information about this home, or additional Homes in Crescent Hill visit 306 Crescent Ct Louisville Ky 40206. 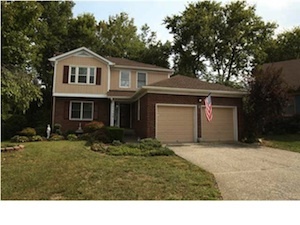 7709 Adam Steven Cir Louisville Ky 40220 is a beautiful home in a fantastic neighborhood. This house must be seen to be believed. It sits on a cul-de-sac. The open foyer leads to a beautiful tiled floor living room that connects to an elegant dining room. In a central point of the room sits a tiled fireplace. Currently the dining-room is being used as a sitting room. Crown molding adornes the dining room. The kitchen features a built in flat top stove with adequate cabinet space. The kitchen is also large enough to house an eating area. The eating area also has a door that opens to the ouside deck. The other rooms on the first floor are a bedroom, a walk in laundry and a full bathroom. There are two additional rooms on the second floor. These rooms are currently used as offices. A full bath is directly off the hallway. The Master bedroom is on this floor complete with a Master Bath. The Master Bath features a whirlpool tub, a seperate shower, custom tile work everywhere and a seperate shower. The Partially Finished Basement has a large family room. There is an additional five hundred square feet of unfinished area in the basement also. 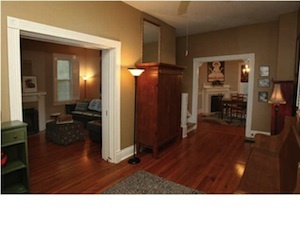 The foyer contains hardwood floors. Hardwood floors are also on the staircase leading upstairs to the second floor, the second floor hallway and the first floor bedroom. There are plenty of updates n the house including, new gutters, recent paint outdoors and a newer roof. There is also a security system and a fully fenced backyard. 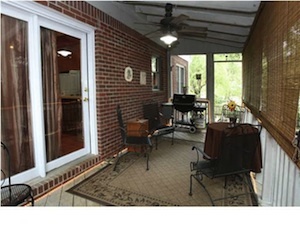 1000 Bridge Hill Court Louisville Ky 40245 is nestled into the beautiful Community of Bridgemore Estates. 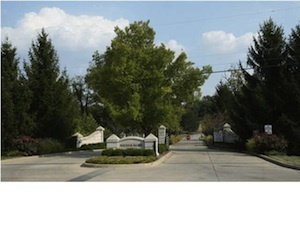 Bridgemore Estates is a gated community. This particular piece of land is located on a corner Lot. There is a gentle fall away feel to the land. 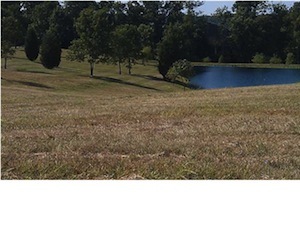 So a house built on this land would have a lovely view of the pond situated on the adjacent lots. There is also a private well on the lot that would be a perfect sourse for an irrigation system. The Bridgemore Estates subdivision features high end estate homes. The utilities are underground. They are city water, natural gas and electric. The area of 1000 Bridge Hill Ct is incredibly convienient to fantastic schools, shopping, the I-265 freeway and multiple golf courses. 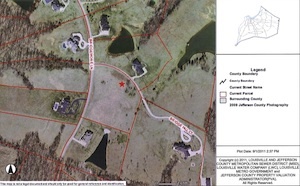 For more information about this lot or the additional Bridgemore Estates Homes for Sale please visit 1000 Bridge Hill Court Louisville Ky 40245.